Diljit Dosanjh is a renowned singer, actor and TV presenter who is known for his works in Punjabi and Hindi film industries. Started his career as a singer, Diljit later ventured into acting by making his Bollywood debut with Udta Punjab in 2016 for which he earned the Filmfare Award for Best Male Debut. His film credits include Jatt & Juliet, Punjab 1984, Ambarsariya, and Super Singh. He has released over a dozen albums and has collaborated with fellow singers in the industry for singles. He has co-hosted three editions of PTC Punjabi Film Awards and appears as a judge in the TV show Rising Star alongside Monali Thakur and Shankar Mahadevan. Diljit Dosanjh was born on 6 January 1984, in Dosanjh Kalan, Punjab, India. He is of Punjabi descent. 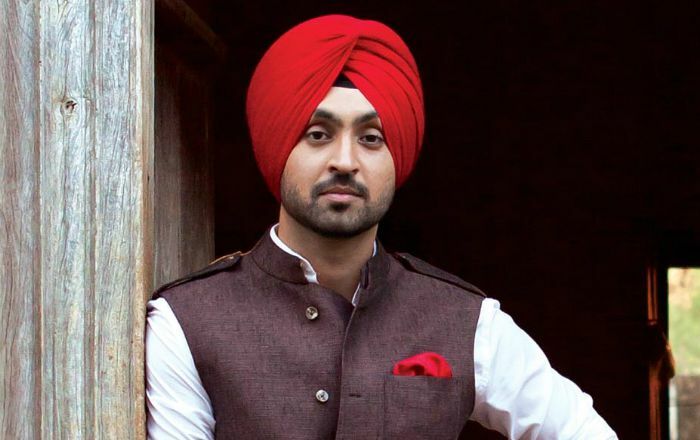 Diljit Dosanjh attended Shri Guru Harkrishan Public School in Ludhiana, from where he completed his formal education, including his high school diploma. Siblings – Manjeet Singh (Younger Brother) and one older sister. Diljit Dosanjh has never spilled beans about his private life even when talking with fans. He got married in 2017, which many of his fans still aren’t aware of, but according to tabloids, his married life is in trouble due to his busy schedules. His body stats are not known. Diljit Dosanjh first starred in the romantic drama movie, Mel Karade Rabba in a small role. His first credited role was with the 2011 Punjabi film, The Lion of Punjab, where he played the role of Avtar Singh. In 2016, he made his Bollywood debut in the film Udta Punjab for his role as Sartaaj Singh, the role which earned him a Filmfare Award for Best Male Debut. In 2010, Diljit Dosanjh co-hosted the music talent show, Awaaz Punjab Di along with Divya Dutta. He has appeared as a guest on many TV shows and also co-hosted PTC Punjabi Film Awards in 2012, 2013 and 2014. Diljit released his first album, Ishq Da Uda Adaa in 2004. His net worth is estimated to be $16 million as of 2018. He started performing Kirtan at local gurdwaras during his school years. Diljit Dosanjh launched an NGO, Saanjh Foundation focusing on underprivileged children and seniors, contributing to orphanages and old age homes on his 30th birthday. He has mostly associated with Finetone Cassettes, a division of T-Series for his music. He received three BritAsia TV Music Awards – Best International Act, Best Album and Best Bhangra Single for the song Kharku for his album Back2Basics. His breakthrough films were Jatt & Juliet, Jatt & Juliet 2, Punjab 1984, Sardaar Ji, Ambarsariya, Sardaar Ji 2, Udta Punjab and Super Sing. All of the films made it big at the box office. His popular song Proper Patola was the first Punjabi song to be featured on Vevo. In 2017, Diljit Dosanjh won Colors Golden Petal Awards for Stylish icon of the year.